We stayed together with another family, each one in a two-bedroom apartment and a kitchen on the ground floor. The apartments are spacious, have a well-equipped kitchens, have two bathrooms each and the terrace is very large with superb view. Our apartment had a larger terrace and a better view, but it was not as elegant as our friends. The host lives upstairs somewhere, it's nice and got us with welcome drinks. The settlement is quiet and has two beaches nearby: Agia Kiriaki at 1.5 km easy access by car, the slope is OK and the unpaved road is good and Vouti at 1 km where the road is more difficult in the second part. 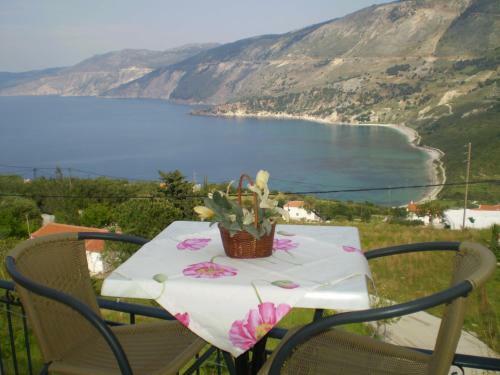 Peaceful location, exceptional view, wonderful garden and flowers, with a big terrace. A few turtles and baby turtles in the garden. :) My kids loved to feed them. You should have a car as the apartment is in a really small and peacful village on the hillside above the incredible bay. Wondeful stay at Anna. Such a nice family, convenient appartment, wonderful view. You have to have a car but Zola is a convenient place to explore the north and west peninsulas. I would strongly recommend !!! Lovely views,comfortable room and the host Anna was wonderful and always nearby. Zola is beautiful, with an authentic Greek feel and crystal clear water. 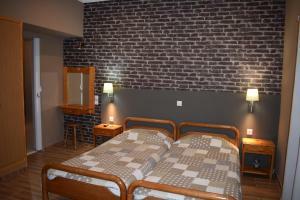 Apartment is extremely well equipped, spacious, kitchen has stove with normal oven and big fridge and fantastic terrace. Towels were changed every two days, garden is well kept with a pair of land turtles that my kids loved. As it is on the hill, view is beautiful, but it also mean that you have 15 min steep walk to the nearest beach or you can go by car. In any case you will need the car as there is no shop in Zola, just few restaurants and van that brought bread every morning. La posizione della casa con una vista meravigliosa sul mare sottostante e la spiaggia di Kyriaki. La casa è a Zola, un villaggio tranquillo e vicino a due belle spiagge. In questa zona dell'isola, la penisola di Paliki, ci sono Mirtos Beach, Fteri, raggiungibile in barca proprio da Zola e Assos, per citare solo alcuni dei luoghi più suggestivi. La casa di Anna è grande, con spazi interni ed esterni fruibili, comodi e confortevoli. Ogni appartamento dispone di due verande, una verso il mare, dove poter riposare o fare colazione e una verso la montagna. L'interno dispone di una cucina e di camere molto spaziose e pulite. Anna è estremamente gentile e disponibile. Il panorama da entrambi i lati dell'appartamento, la gentilezza di Anna, la camera da letto arredata molto bene, la cucina fornita di tutto il necessario. Gentilezza e cortesia da parte della proprietaria, la casa pulitissima con vista mozzafiato che da verso la costa. La signora Anna sempre sorridente e disponibile ci ha fatto sentire come a casa nostra. Complimenti! Lock in a great price for Anna Studios – rated 8.9 by recent guests! 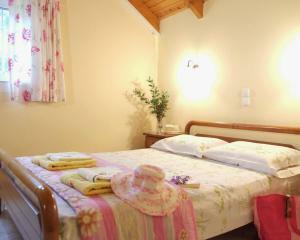 Located in Zola Village of Kefalonia, the family-run Anna Studios is set amid a colorful garden with BBQ facilities. It offers self-catering accommodations with views over the Ionian Sea and free WiFi access. Opening to a balcony with sun loungers, the air-conditioned units of Anna have a well-equipped kitchenette or kitchen with dining area, fridge and oven with cooking hobs. Each unit is equipped with a flat-screen satellite TV and a hairdryer. Sami Port is located 19 mi from Anna Studios, while Kefalonia Airport is 20 mi away. The scenic Argostoli Town is at a distance of 15 mi and Lixouri lies within 11 mi away. Free on-site parking is possible. When would you like to stay at Anna Studios? 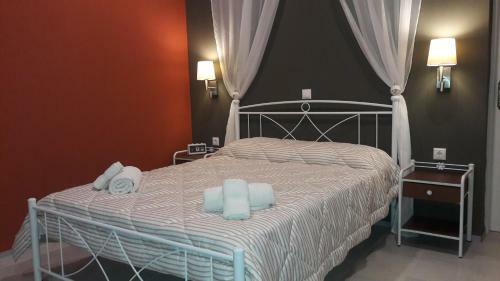 Air-conditioned studio with free WiFi access and a furnished balcony overlooking the Ionian Sea. It has a flat-screen TV and a hairdryer. A refrigerator, a toaster and a kettle are available. 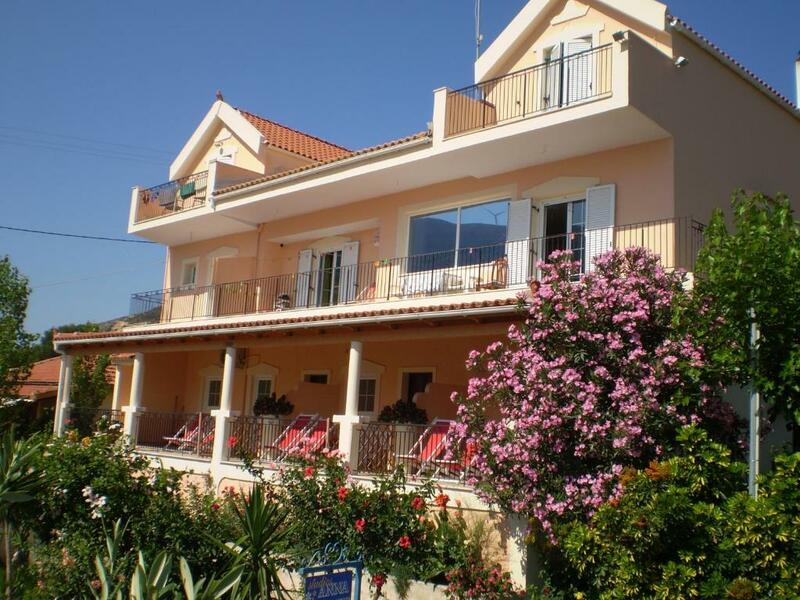 Air-conditioned apartment with free WiFi access and a furnished balcony overlooking the Ionian Sea. It has a well-equipped kitchen with dining area, fridge and oven with cooking hobs. A toaster, a kettle and coffee machine are also available. A flat-screen, satellite TV and a hairdryer are featured. 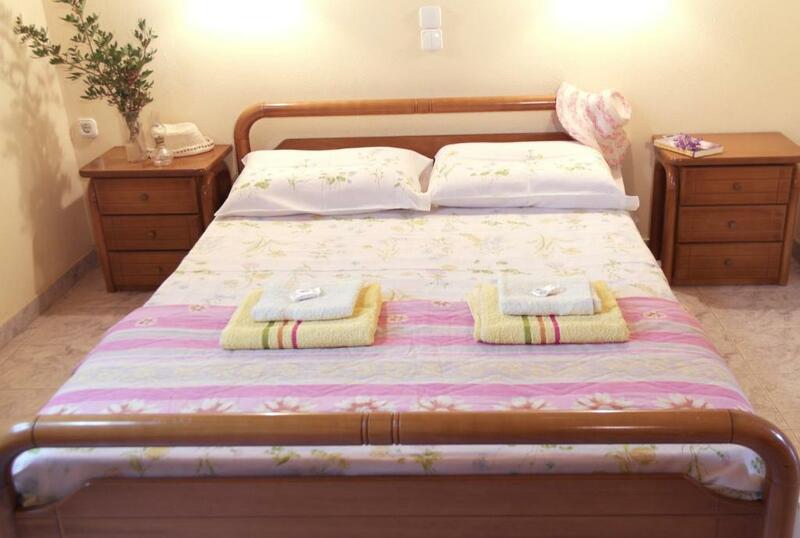 Air-conditioned apartment with free WiFi access and a furnished balcony overlooking the Ionian Sea. It has a well-equipped kitchen with dining area, fridge and oven with cooking hobs. A toaster, a kettle and coffee machine are also available. A flat-screen satellite TV and a hairdryer are featured. Air-conditioned apartment with free WiFi access and a furnished balcony overlooking the Ionian Sea. 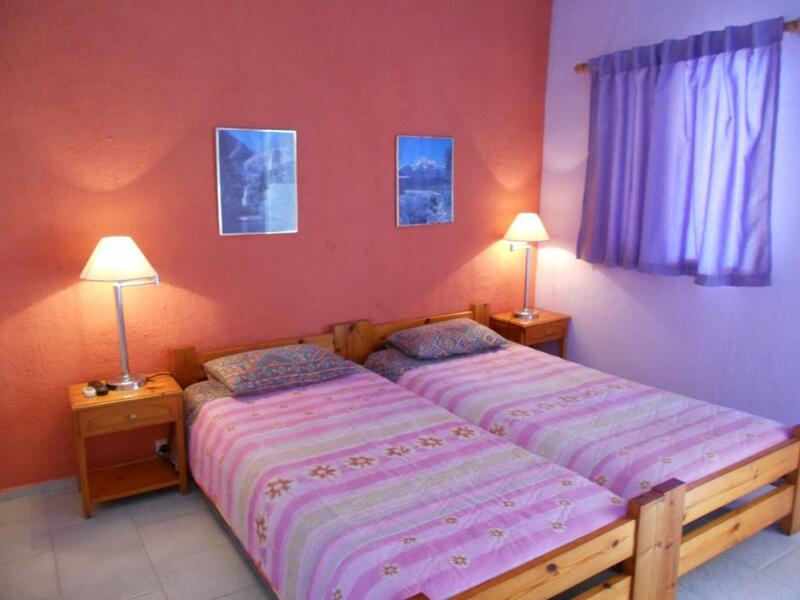 It has 2 separate bedrooms, 2 bathrooms and a well-equipped kitchen with dining area, fridge and oven with cooking hobs. A toaster, a kettle and coffee machine are also available. A flat-screen satellite TV and a hairdryer are available. Το οικογενειακά Ενοικιαζόμενα δωμάτια Anna Studios με θέα στο απέραντο γαλαζιο , στο πιο γραφικό χωριό της κεφαλλονιάς στα ζόλα με θέα στο Ιόνιο Πέλαγος περιβάλλεται από έναν πολύχρωμο κήπο με εγκαταστάσεις μπάρμπεκιου. Προσφέρει καταλύματα με δυνατότητα προετοιμασίας γευμάτων, και δωρεάν WiFi. Στις εγκαταστάσεις παρέχεται δωρεάν χώρος στάθμευσης. Οι κλιματιζόμενες μονάδες του Anna διαθέτουν μπαλκόνι με ξαπλώστρες και καλά εξοπλισμένη μικρή ή κανονική κουζίνα με τραπεζαρία φούρνο με εστίες μαγειρέματος. Όλλα περιλαμβάνουν, τηλεόραση επίπεδης οθόνης ψυγείο καφετιέρα και στεγνωτήρα μαλλιών. Το Anna Studios απέχει 30χλμ. από το λιμάνι της Σάμης και 32χλμ. από το αεροδρόμιο της Κεφαλονιάς. Η γραφική πόλη του Αργοστολίου είναι προσβάσιμη σε 24χλμ. και το Ληξούρι βρίσκεται 20χλμ. μακριά. House Rules Anna Studios takes special requests – add in the next step! Anna Studios accepts these cards and reserves the right to temporarily hold an amount prior to arrival. Guests need be quiet between 11:00 AM and 8:00 AM. Kindly note that any kind of extra bed should be requested and confirmed by the property. Please inform Anna Studios of your expected arrival time in advance. You can use the Special Requests box when booking, or contact the property directly using the contact details in your confirmation. The apartment is clean, but the kitchen was not so clean. Be aware that the nearest shop is 3km away from the Studios and the only right way to get to Zola and move around is rented (or your own ;)) car. There might be no hot water in the morning but it was no problem for us. You'll need a car to find the nearest shop, and the beaches are also best accessed with a vehicle as it's a steep hill. Mosquito nets at all windows would be a plus. Anna was very nice house owner.